Deccan Wars (1680-1707) - The Deccan Wars, also called the Mughal-Maratha Wars was a 27-year conflict between the Mughal and Maratha Empires. It is the longest recorded war in India's history. The Mughals have already been documented on this chart (see Akbar the Great and the Taj Mahal). 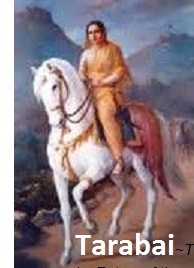 Maratha was a rising power to the south at this time. The Mughal Empire was a Muslim kingdom, the Maratha Hindu (although the war was not necessarily fought on religious grounds). It was primarily a conflict for dominance. Their borders clashed along the Deccan Plateau (from which the war gets its name). The Mughal emperor was Aurangzeb, and his army was roughly three times the size of Shavaji's, the Maratha ruler. Shavaji compensated for this by building a series of forts along the border. So the two sides maintained an uneasy peace until Shavaji's death in 1680. Aurangzeb expected chaos to result from Shavaji's death and invaded Marathan territory the same year. However, Marathan succession went smoothly and Shavaji's son, Sambhaji, fiercely defended his inheritance. But in 1689, while personally leading his forces in the skirmish at Sangameshwar, Sambhaji was captured by the Mughals and beheaded. With this development, Aurangzeb believed Marathan resistance would crumble. But again he underestimated the opposition. Sambhaji's younger brother, Rajaram, became ruler, and the Maratha's were as emboldened as ever. Rajaram's reign and this phase of the Deccan War was dominated by a single battle; the Siege of Jinji, which lasted an amazing eight years. Jinji was a Marathan stronghold and had become Rajaram's headquarters. Aurangzeb ordered its capture at all costs. Well it was ultimately captured, but the cost was high. Casualties for the Mughals were so severe and their resources so drained that it was a Pyrrhic victory (for the origin and definition of a Pyrrhic victory see Rome subdues Italy on this chart). Whatsmore, Rajaram and the bulk of his men managed to escape capture. However, Rajaram died only a couple years later (not in battle, but from some unknown illness). His son, Shavaji II, was to succeed him, but at the time was too young to rule. And so his wife, Tarabai, took over as queen and regent until her son was old enough to rule for himself. Tarabai is a bit of an historical gem for the role she played in the Deccan Wars. Not only did she competently rule the Marathan Empire, but she maintained the war with the Mughals. And not only that, but she pressed the conflict into Mughal territory and ultimately won it. But it doesn't even end there. On top of all that, she personally led Marathan forces into battle and rallied her troops to victory, something not seen since Joan of Arc. As early as 1701 the Mughal Empire was in dire straights. 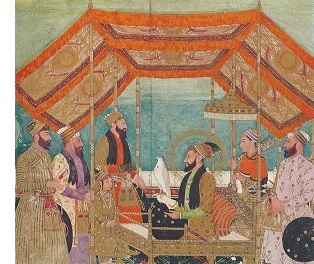 The war had dragged on longer than Aurangzeb ever intended and his treasury was drained. Queen Tarabai was aware of this and sent troops across the border into Narmada in 1705. By 1706, the Mughals were in retreat and Aurangzeb was looking to make peace. He died in 1707 and the war basically ended with his death. The Marathan Empire did not have the manpower to conquer the Mughal Empire. However, the Mughals had been so weakened that their dominance in India had come to an end.